If there’s one place in Seoul you must visit, it should be Insadong. This street may not be the primary choice for shopping, for sightseeing, or for bar hopping, but if you really want to “travel”, and by travel I mean learning more about the people, the culture and the tradition of the place you are visiting, when in Seoul, do not ever leave the place without going to Insadong. This is where you can actually see and experience the tradition and culture of Korea as it is considered to be the focal point of Korea’s art and culture and crafts. 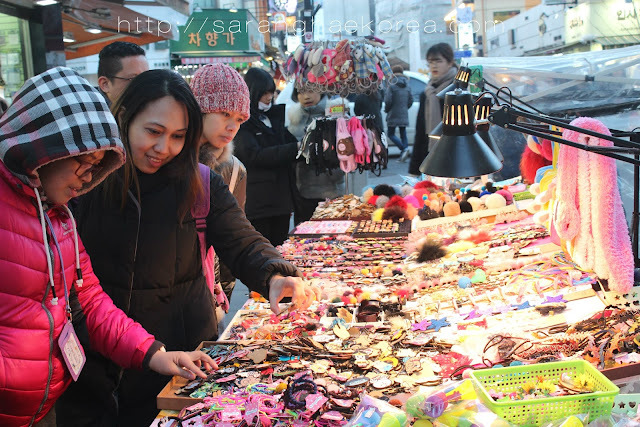 At Insadong, you can also buy some souvenirs that you can always incorporate to Korea alone. 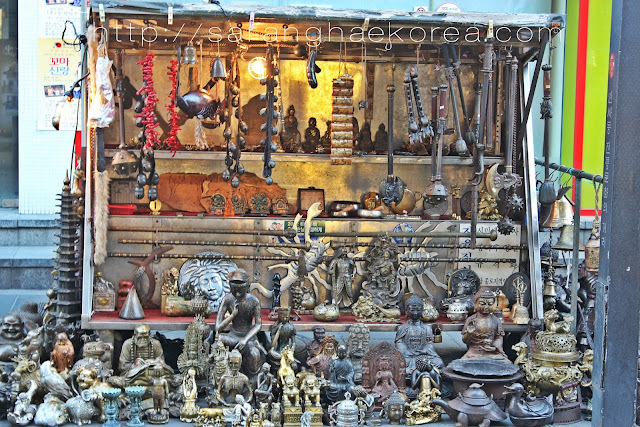 Stuff like pottery, traditional teas, Korea folk crafts and hanbok or the Korean traditional clothing can be bought at this unique street. The reason why this street is very rich in Korean culture and tradition is because this was used to be a place of study for painters during the Joseon Dynasty. So it is not surprising that even up to this day, you can still see things related to paintings at Insadong. In fact, there are centers for arts, painters and craftsmens available in the area. If you love arts, you will surely love this street. I usually go to Insadong at weekend, I think I have visited the place for like three or five times already, and everytime I go there, it’s always crowded. The crowd does not necessarily compose of foreigners or tourists, most of the people there are just actually the locals. I guess Koreans know how to put value into their culture that is why they go to places where they can be reminded of their rich tradition. What I like most about Insadong is the availability of different traditional tea shops. These tea shops usually are in a traditional Korean houses and offer Korean tea to the customers. However, there are some modern tea houses also in the area, but you can see their effort to preserve the old traditions. 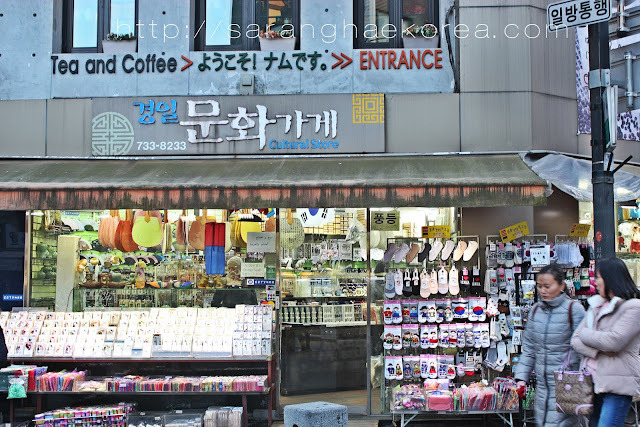 To go to Insadong via train, you can take the Subway Line Number 1 and get off at Jonggak Station. Go to exit 3 and you can find the Insadong street. Or you can also take Subway line number 5 and get off at Jongno 3-ga station, then go to Exit 1. 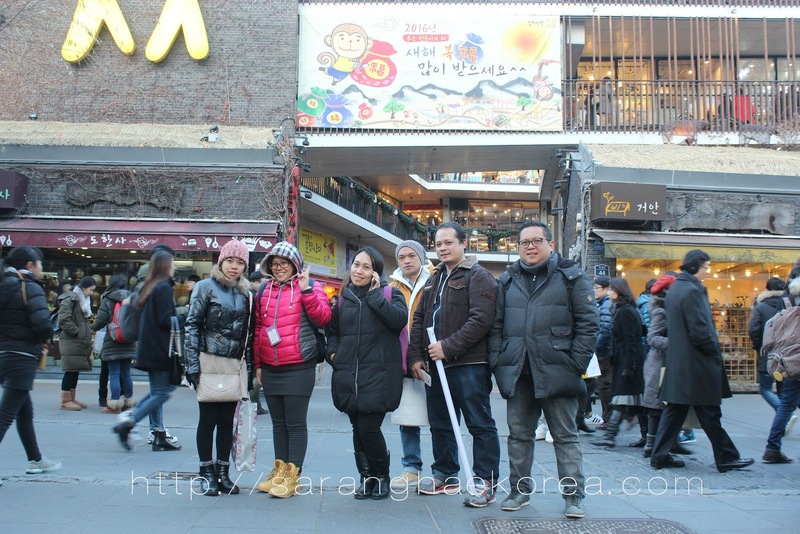 People, culture, and tradition are what Insadong can offer to every visitor that will set their foot on it. There is something about this street that emanates the charm of Korea. I don’t know about what others feel, but as for me, I feel like I am traveling back in time during those days when Koreans are still wearing Hanbok. Women are busy peddling their goods while men are riding their horses with pride. But of course, you couldn’t see it the way I imagine, but it somehow give me an idea of the lifestyle of Korea’s olden days. So if you are looking for a place to visit in Seoul, Insadong must be in your itinerary. I would love to visit South Korea one of these years. In fact, I think a month-long visit to Asia would be wonderful. Great photos you included in this post. It looks so fun there! I love to shop at local markets, especially different ones all around the world! Lovely pictures! I wish I could be there! That looks like a great place to visit!! I love that there are so many wonderful things to buy! The pics you took are beautiful! I’ve been wanting to go to Korea. Actually, anywhere in Korea would be okay for me. But when I read about your post, I am convinced that I should visit Insadong. I love to know the culture of different people. My uncle was in Seoul working a security detail for the olympics (that goes to show you how long ago it was) and he always wanted to go back. He said it was so beautiful and he wished he could have explored more while he was there. I have been talking about traveling more with my family and seeing more of the world but this is really far out of the plans for me. I meant like a few hours away but this does sound appealing. I would love to visit some fun places like this someday and take my whole family to see the whole world. Love all the street vendors. My husband applied to go to Seoul for a work contract many years ago. It would have been short term and so we figured that it would have been a fun experience. Unfortunately he was not chosen to go. Oh goodness, that looks like such a cool place to visit! I'll have to add it to my travel wishlist as well. I want to shop at those places you showed, how fun are they? This looks like such a great place to visit! I can only imagine the things for sale in the markets! Souvenier shopping is always one of my favorite things to do on vacation! If I were hunting for souvenirs, I would be seeking traditional teas, candies and a figurine that represents the region (that I can put on a shelf on my work desk). I'm definitely a lover of the arts, and I find it interesting that painters ruled this area. It definitely looks like a lot of things to discover here. I've always wanted to visit South Korea. Street vendors are so cool. I went to China and really enjoyed it. Being introduced to so many neat products and different foods was a worthwhile experience.